Conor Thomas' second-half penalty rescues a 1-1 draw for Cheltenham at home to play-off chasing Exeter. Crewe old boys Billy Waters and Luke Varney score late goals as Cheltenham come from behind to win at Gresty Road. Watch highlights as Accrington Stanley win 3-1 at home to Cheltenham Town to book a place in the third round of the FA Cup. Read more on What is a drugs test like for a player? 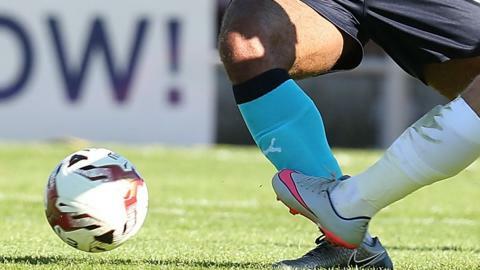 BBC Sport looks at five things you may have missed in the Football League as two teams earn promotion as champions and a 16-year-old emulates his father's feat. As the Cheltenham Festival draws to a close, two Gloucestershire teams are locked in a two-horse race to reach the Football League. Former Blackpool and Hull striker Ben Burgess on his decision to swap the changing room for the classroom.